A Hole in One Egg is an exquisite creation using two exotic woods. 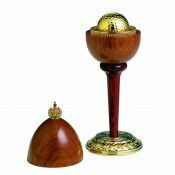 The stand, handcrafted from cocobolo wood and styled as a golfer's tee, supports the Egg turned in bubinga wood. The base gilded with 24 carat gold, comprises a pattern of 18 deep cut rings. Within each ring sits a stylised golf ball. The Egg opens to reveal the surprise, the ultimate achievement, a hole in one. 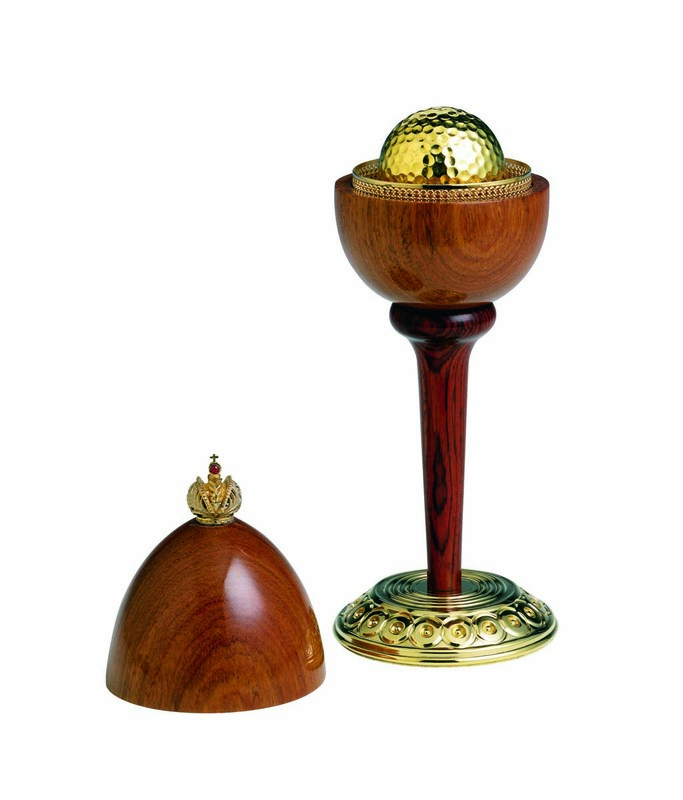 A 24 carat gold plated golf ball sits within the hole, hollowed from the heart of the Egg and detailed with a gallery of vermeil. An Imperial crown of vermeil is set with a cabochon ruby. Materials: Cocobolo and bubinga wood, 24 carat gold and cabochon ruby.